In the season of spookiness, who better to celebrate than Edgar Allan Poe and his immortal raven! If you’ve ever read a spooky story, chances are it was in some way influenced by Poe. Poe is credited with inventing detective fiction and inspiring both early science fiction and horror. 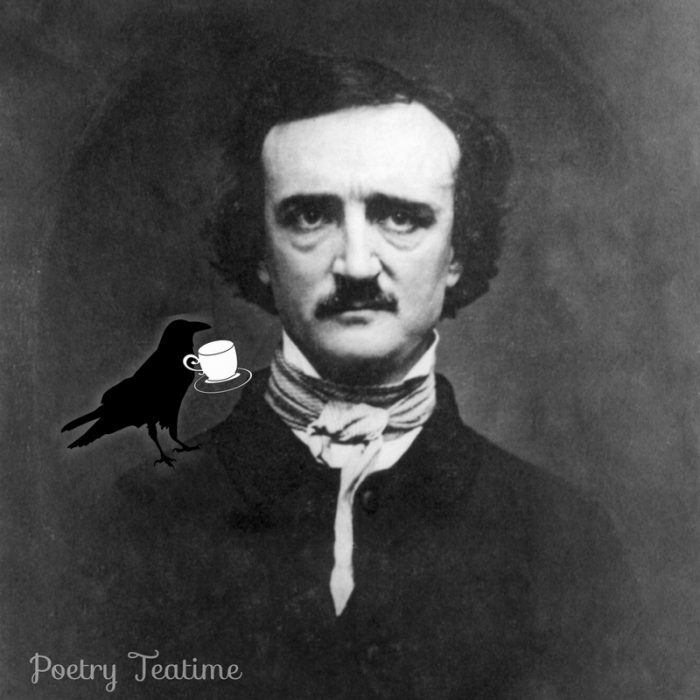 So get ready for cries of “nevermore!” in today’s teatime celebrating Poe! One of Poe’s enemies wrote a nasty obituary for Poe that influenced public perception of Poe for the next century. Poe owned cats that he often wrote about. He also sometimes wrote with a cat perched on his shoulder! Poe was a cryptographer who loved puzzles and riddles. He wrote one of the first stories involving code-breaking, “The Gold Bug” (1843). What teatime would be complete without a few lines from “The Raven”? Let’s take a look now at the first stanza. Be sure to look up the full poem during your teatime! Palest white, darkest black: Serve “palest” and “darkest” treats--maybe some darkest grapes or palest powdered cookies or crackers. Red as blood: Serve some blood-red grape juice to give your teatime a spooky effect. A conspiracy of ravens: Did you know that a group of crows is called a “murder,” and a group of ravens is called a “conspiracy”? Have a conspiracy in your own house! Print ravens or cut out raven shapes from black construction paper. Then, put them up in unlikely spots around the house and send the family hunting for them during your teatime today. Use the printable ravens and crows from Milliande Printables. Picture time: Frame a portrait of Edgar to give some atmosphere to your teatime. Try this one from Wikimedia Commons. Go black and white: Paint some pumpkins white and add a black cloth to your table for some true spookiness. Feathery wreath: Use two black boas (found in the party section of stores or at the dollar store) wrapped around some wire to make a wreath. Inspired by this party on BHG. 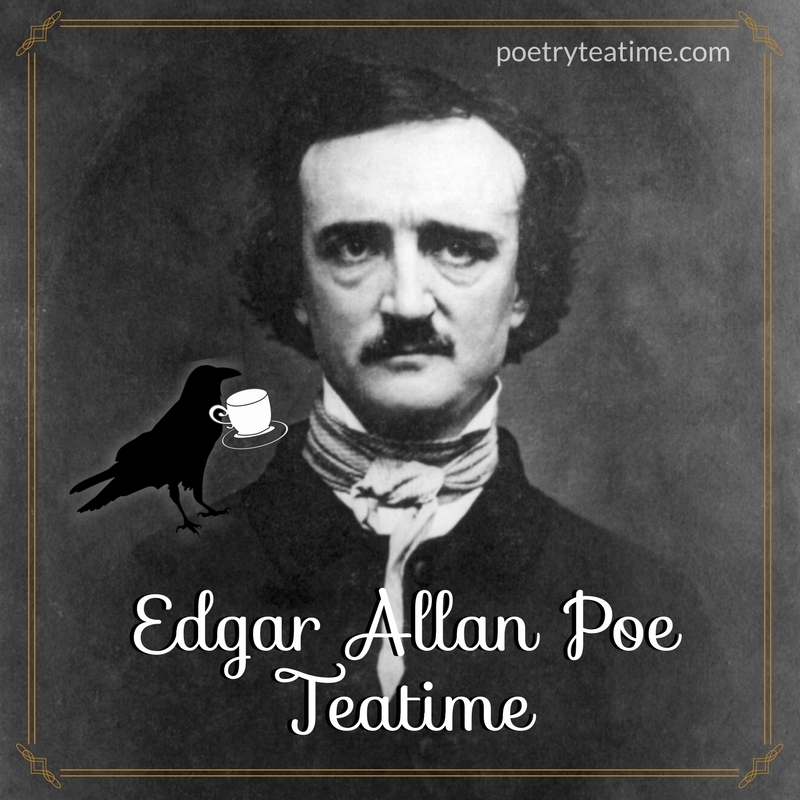 Mirror, mirror: If you have a mirror or a glass picture frame in the living or dining room, use washable whiteboard markers to write lines of Poe’s poetry as an added spooky touch to your teatime. Line by line: Take one line from the poem “The Raven” (or one of Poe’s other poems). Set that line as your starting point and then write a poem that continues from that line. It can stay in the same form with the same meter and rhyme as Poe’s poem, or you can use your own original pattern. How does your version of the poem end?